A big thanks to Azam Rais for helping us give a platform to shine a light on the Malaysian Spoken Word Scene! This artist not only has a background in literature but has also won many accolades for her work as a writer, director and actress. Fazleena has also been regularly speaking at many motivational, poetry and theatre workshops around Malaysia. She works has also graced theatres, short films, and TV screes, either as host or scriptwriter. Her band, The Lasykar, has also been recorded and featured on Malaysia’s first poetry podcast, Poet X. Pondok Puisi – a poetry writing and performance workshop – was also organised by her along with fellow poet Wani Ardy. She has also released her debut anthology of poems called ‘Seksi Ovari’, followed by ‘Bibir Ceri Melati’, her second book. These days, she handles an alternative creative space dedicated to culture and arts called ‘Markas Kota Damansara’. 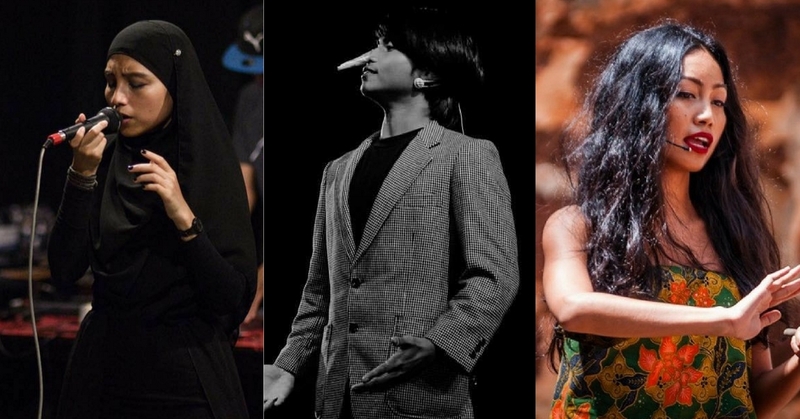 Representing one-third of the explosive creative trio, Mimpi Rusak, Tulangkata has been actively basking in the light of stages all around Malaysia. He published his first poetry book ’99 Puisi’ in 2014 when he was only 19 years old and published his second book ’41 Lelaki 40 Perempuan’. At this moment, he is on a hiatus to start something new in life. This established poetry educator and spoken word artist organises poetry and drama workshops in schools and universities as part of Poetry Café KL. She was also a member of the team that represented us in the Singapore vs Malaysia Causeway Exchange Slam, winning us a gold in the group slam division. She is also a part of Tongue Tied 2 who performed at Iskarnival Naratif and Sama-Sama, and had also performed at countless open mics locally on stages like Urbanscapes, Merdekarya, The Bee, Gaslight Café and more, along with international performances in Singapore and Australia. 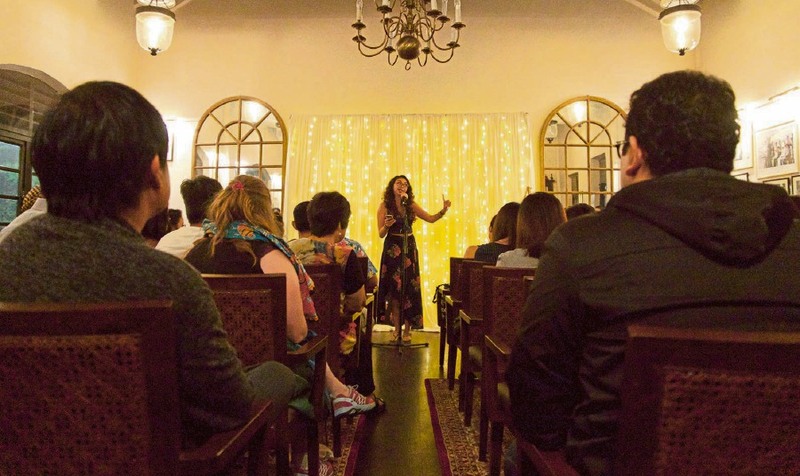 A published performing poet who has a passion for writing, Arisha Akhir debuted her first volume of poetry, ‘Uncertainty’, in 2014, followed by her second volume, ‘Still’, a year later. Arisha believes in artistic collaborations, working with artists of different disciplines to challenge her creative limits. Apart from being on stage, she has also showcased her poetry in art exhibitions around KL with her first solo exhibition in October 2015. Currently, she is working on her collection of poems in the Malay language entitled ‘Rahsia’, coming to us in August 2017. Look out for that! This spoken word artist uses her poetry to question important topics like modernity, traditions and archiving memories. A part of the ‘kata.mata’ collective, Ari has also published a chapbook called ‘Ten Poems’. She has also showcased her works in KL, Singapore, London and even at the 2016 Edinburgh Festival Fringe. What more, her works are featured in Kisah Journal by PUSAKA, Asian Centre Anthology of Malaysian Poetry in English and Odd One Out Magazine. You can find her at the monthly poetry lab, Spill the Ink, which she organises. Barely 20, this artist is pursuing a BA in English at University Malaya and has already published her first book, ‘The Prisoner of Sorrow’, when she was 16 under the indie publishing house Poket Press in 2013. Arisha had started performing on stage at the age of 18 and has even shared stages with big names in the spoken word scene like Melizarani, Sheena, Jack Malik and more. She has since self-published her chapbook ‘Sandpaper Heart’ and have also been featured on podcasts like Poet X and That Time of Night by BFM. 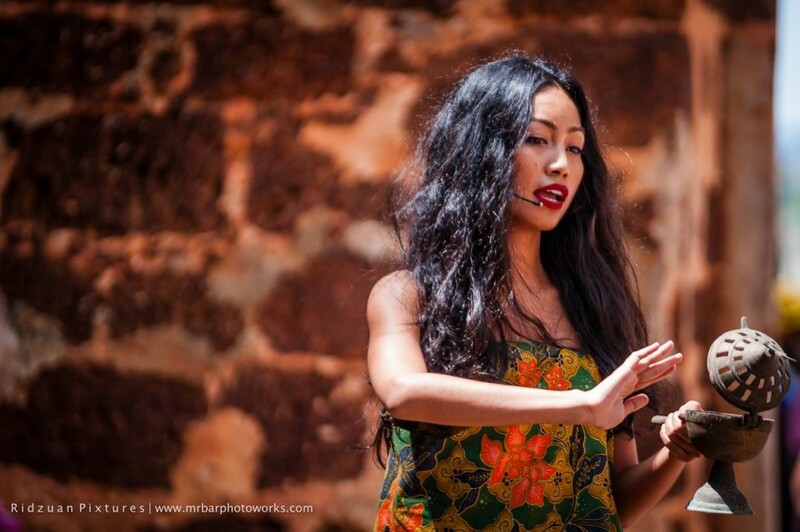 This herbalist has conducted performance lectures mixing poetry and herbalism locally and internationally in big cities like Berlin, Jakarta, Bali, Jogjakarta, and of course, KL. Illya has had some pretty big collaborative projects such as ‘Pontianak’, ‘Tongue Tied’ and ‘Seronok’ which is a multinational (Indonesia, Malaysia, US and UK) poetry-art-technology project, premiering in Jakarta and Ubud’s Writers & Readers Festival in 2012 – where she was also the judge for the Women’s Poetry Slam. As a poetry educator, she has taught children the art of spoken word in Singapore, Nepal, Cambodia and Malaysia – where she is now working on a Children’s poetry anthology. She also represented Malaysia in the 100 Thousand Poets for Change World Conference in Salerno, Italy, in 2015, and in 2016, was featured as a Poet-Activist on The Woven Tale Press – an American online poetry magazine. She has also been published in The Words of Womyn International 2016 Anthology and was dubbed the slam champion of Ubud’s Writers Readers Festival’s Poetry Slam in 2016. This Malaysian writer discovered her true love and passion for poetry during her university years whilst pursuing a degree in English Literature and through the influence of inspirational people and experiences. She entered the KL scene in 2010, performing at various gigs including 100 Thousand Poets for Change and Incitement KL’s The Power of Words, which featured American poets and activists Sarah Kay and Phil Kaye. Her college mates and her had also founded a group called Lip Movement Poetry, encouraging people from different backgrounds to participate in the joy of expression and wonder of poetry. She has also had some of her works published in the Asian Centre Anthology of Malaysia Poetry in English by Prof. Dato’ Dr Ghulam-Sarwar Yousof. Wani is not just a spoken word artist but also a singer-songwriter for her band Wani Ardy & the Guitar Polygamy. She’s also a writer-editor at Sang Freud Press & Rumah Ripta, Chief Editor at CQ Malaysia, Teacher at Pondok Puisi, Hostess at Rumah Ipoh and Founder of Pasar Boco, a creative arts festival. Talk about being busy! She has also been invited to perform at big stages locally and internationally. Last year, her band and her had represented Malaysia as Esplanade Singapore’s Festival Cipta Cita and MOCA Fest in Jakarta, Indonesia. She has also gained a lot of professional experience in the creative scene with 15 years in creative writing and performance arts, and 8 years in higher education (public and private). Her books have also gained her a huge following in Malaysia with the most recent being ‘Ikhlas’. She also has 2 books, an anthology and the other a collection of poems and prose, which are going to be published soon. Originally from Northern Ireland, this spoken word artist has been big waves in the Malaysian poetry scene. Cat has performed internationally in many other countries like Pakistan, Kenya, Cambodia, Philippines, Singapore, Nepal and New York. She had also on the BBC Edinburgh fringe Poetry Slam, and has had her poetry featured on Poet X, Radio 4, RTE, Latitude Festival and Cheltenham Literary Festival. She is also a graduate of the ground-breaking MA Writer/Teacher at Goldsmiths and was even a full-time Spoken Word Educator in The Lammas School London for 3 years. She has even presented her work at academic conferences, published a journal and even as a TEDx Talk; Poet’s Guide to Surviving School. Cat’s journey here started when she was funded by the Arts Council England and the British Counsel to research spoken word education in KL. And now, we just can’t get enough of her.